A drive towards the hill country through acres of eucalyptus trees, tea-clad mountain ranges and breathtaking waterfalls is a soothing experience for any traveller. 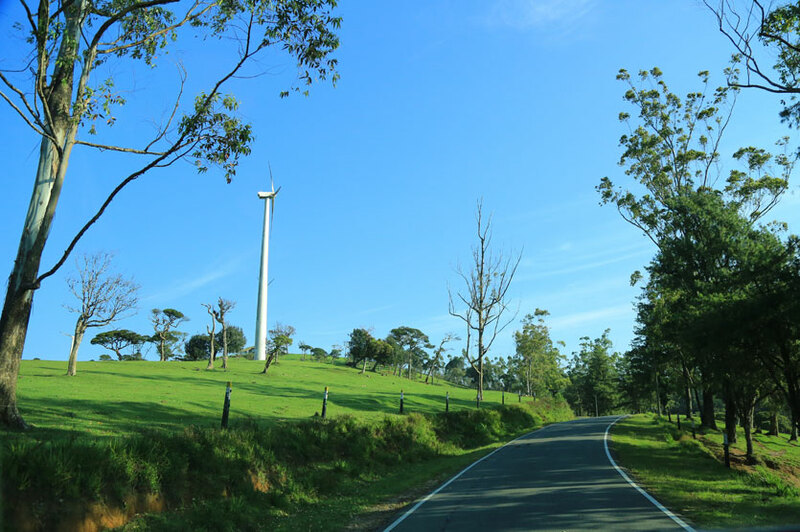 This drive will take you to Nuwara Eliya - one of the most popular destinations during the month of April due to its season. Amidst pastel coloured houses and various hotels in the surroundings, Nuwara Eliya has become a prospective land for local businesses and travellers alike. While on our visit to Nuwara Eliya, Life Online explored various places of historical and religious significance and we also didn’t forget to drop in to a few eateries as well. If you want to dine overlooking a panoramic view of lush greeneries and a calm and quiet countryside, then Tea Bush by Oak Ray is the ideal location for dining in. 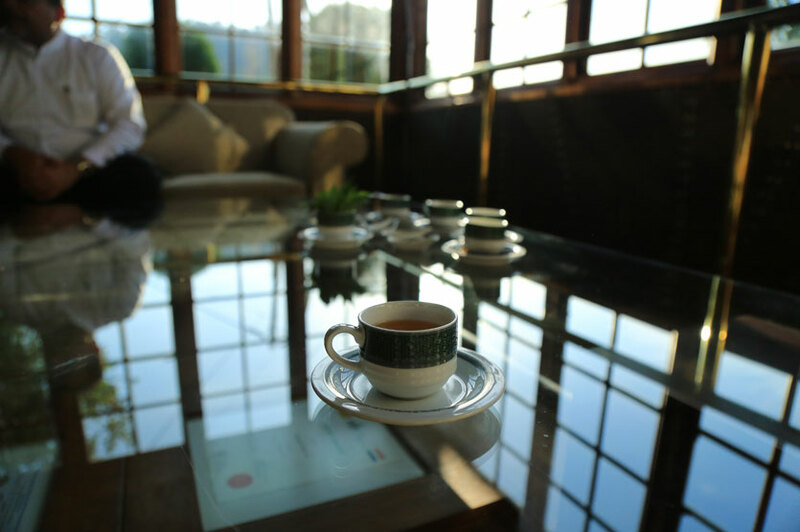 Nestled on top of a scenic hill region, Tea Bush offers breathtaking views of the setting sun during the evenings. 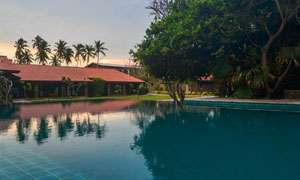 Owned and managed by Oak Ray Hotels and Restaurants, this venue has been a favourite among travellers who are en-route to Little England. Although it is often frequented by foreigners, locals too visit this place repeatedly to not only savour their cuisine but also to catch a glimpse of the breathtaking scenery. We dropped in to this venue on our way to Nuwara Eliya and tried out their food. 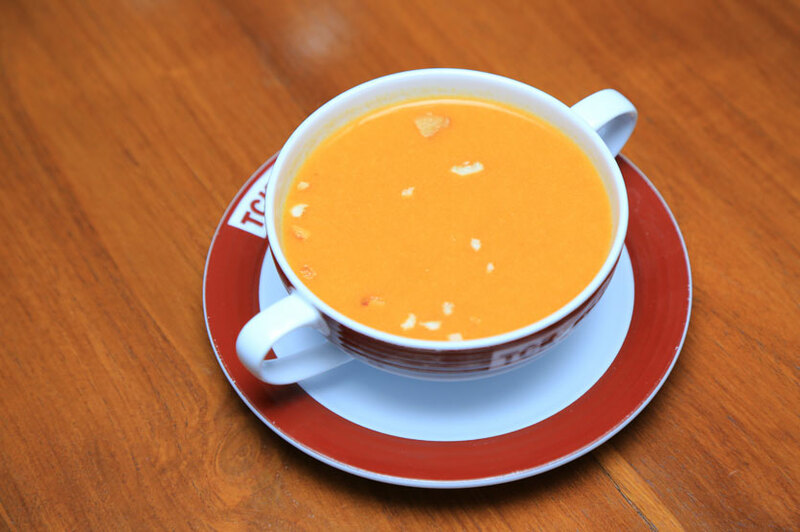 Their Lentil Soup (Rs. 650) is highly recommended and it was the first in their range to impress our tastebuds. Then followed the King Fish (Rs. 1850) which were two large slices of grilled fish that is recommended for those who are going on a light diet. We also had their Mixed Dessert (Rs. 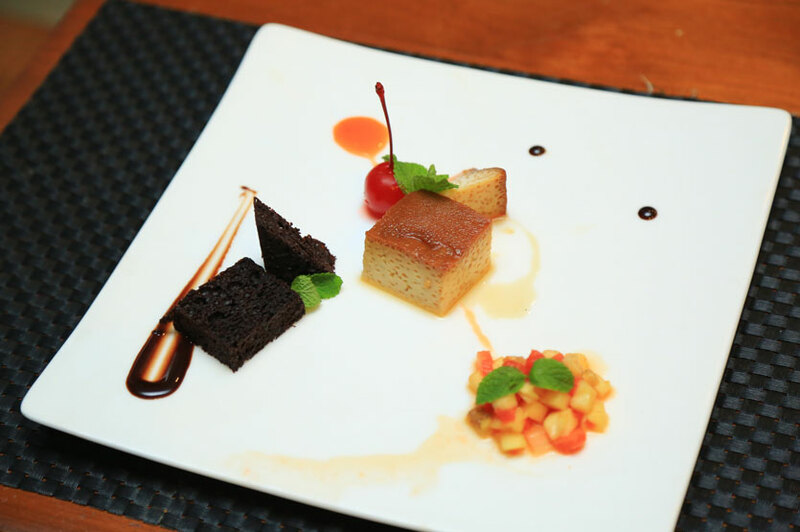 450) which was a combination of rich chocolate cake, fruits and caramel pudding. 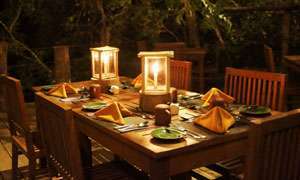 Tea Bush also includes 31 rooms in its premises offering accommodation facilities for guests. 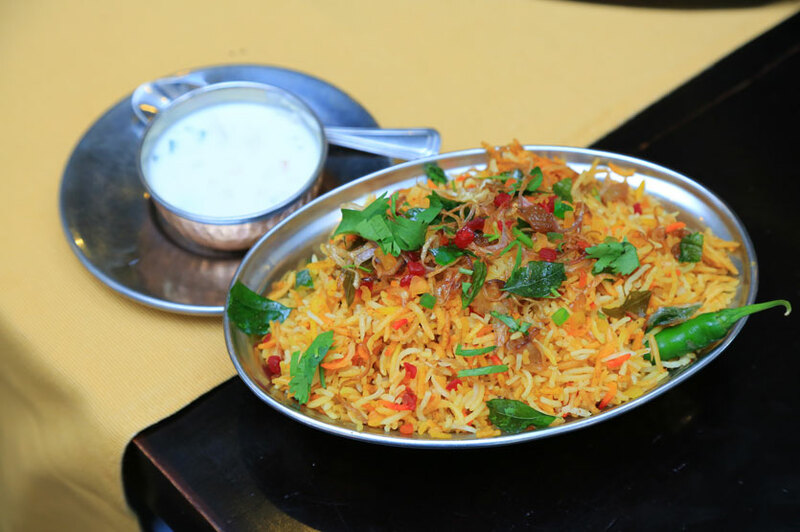 They are also known for their Arabic dishes including the Moroccan Biryani and the seafood platter. 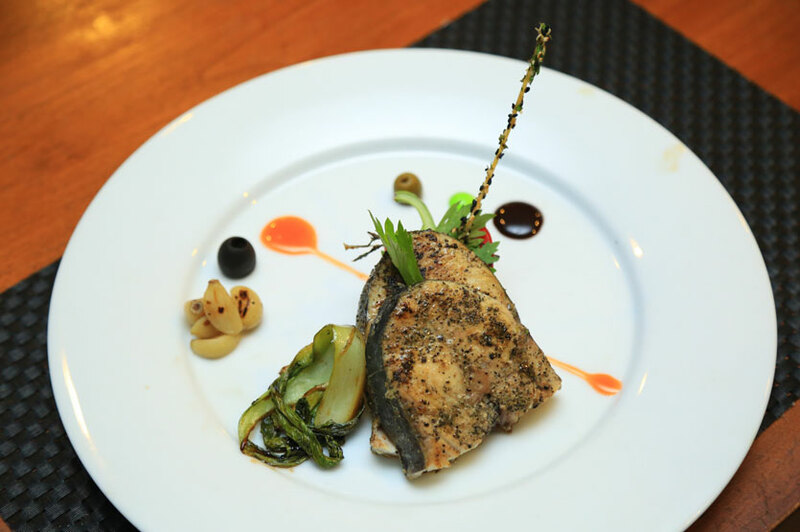 As such international as well as local cuisine is available and they also undertake weddings, corporate functions and other events as well. By the side of the Grand Hotel in Nuwara Eliya stands its elegantly built Indian restaurant - The Grand Indian. 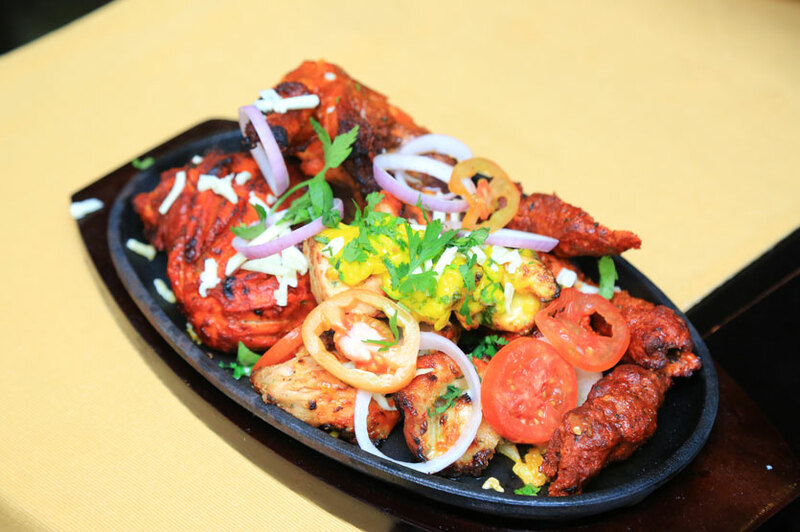 Having been in operation for 10 long years, The Grand Indian offers delectable Indian cuisine prepared by its in-house Indian chefs. To start off, with we tried their highly recommended Mango Lassi (Rs. 450) and Faluda (Rs. 550) which didn’t fail in terms of taste and flavour. 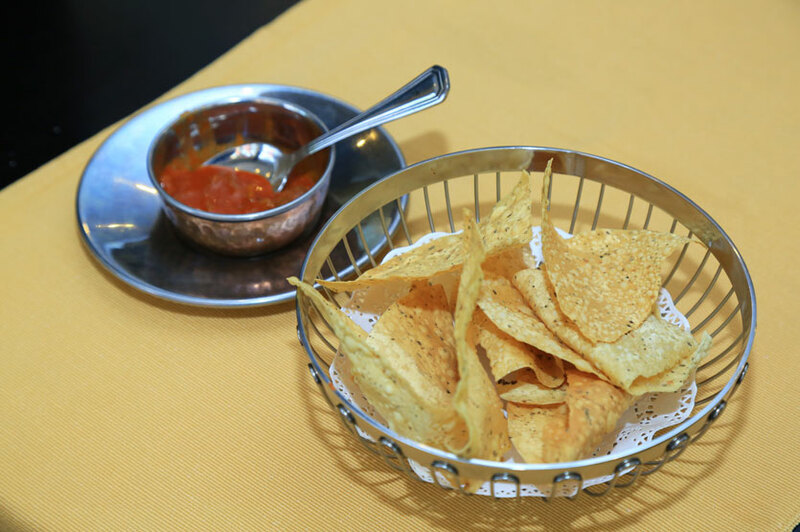 Guests are given a complementary papad and lime pickle before their main meal. For mains we tried their Chicken Biryani (Rs. 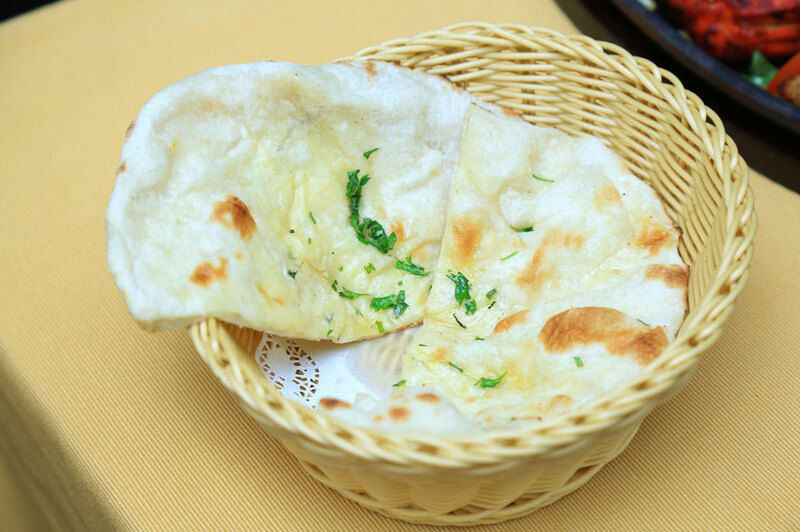 1000) and Garlic Naan (Rs. 250) coupled with the Grand Indian Sizzler by Chef Ranbir (Rs. 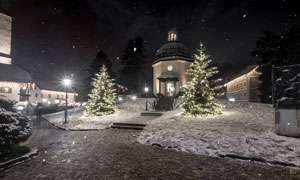 2500). The latter is a sizzling platter of boneless chicken enough for two and is one of their signature dishes. The Grand Indian does not accept reservations and operates only for walk-in customers. Tourists as well as locals visit this venue daily to taste their delicacies which are prepared by the finest hands in the industry. 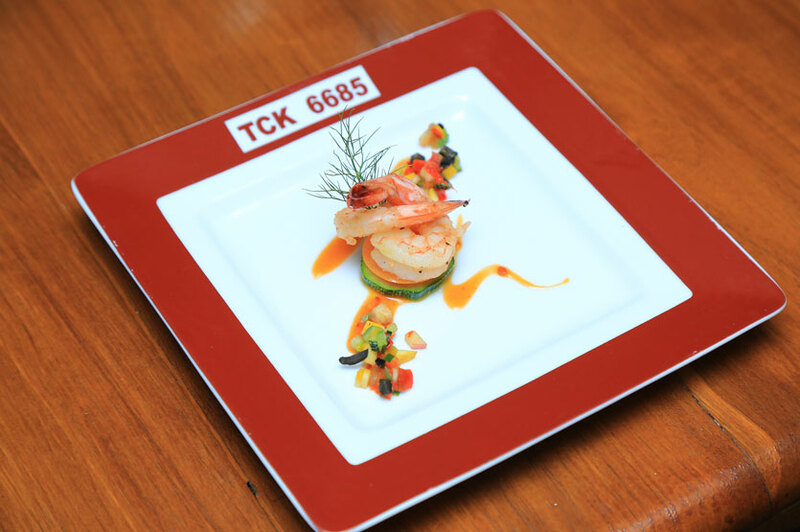 TCK 6685 is an experience worth trying. If you are fed up of dining by the roadside, you are always welcome to dine inside this railway carriage restaurant and experience the finest of its cuisine while going on a virtual train ride. 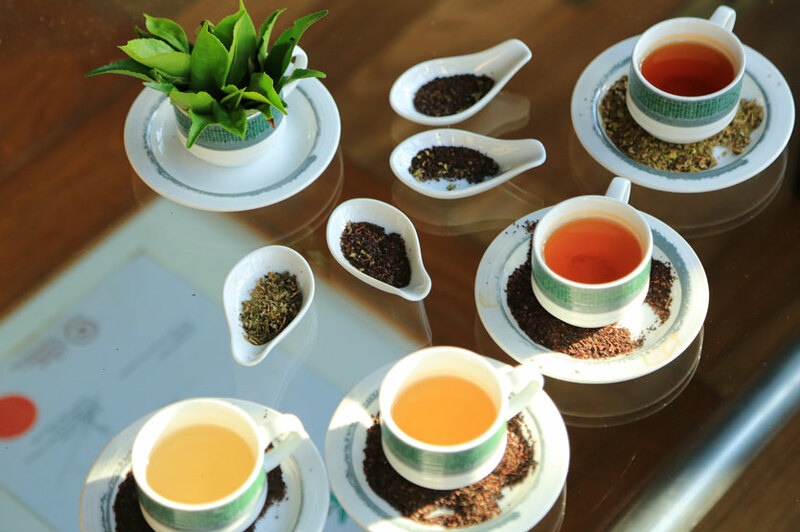 A right turn from the Kandapola Junction and a drive uphill through tea-clad hillsides will bring you to the magnificent Heritance Tea Factory overlooking a scenic view of the surroundings. 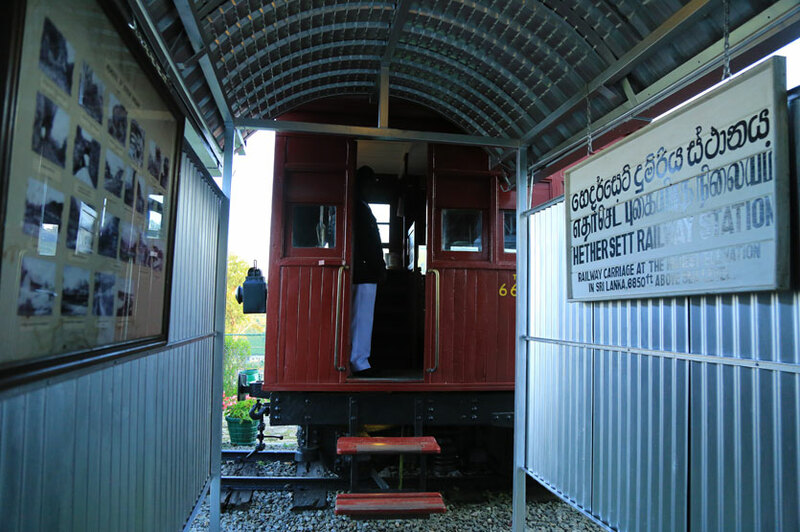 At USD 75 per person, guests are offered a seven course menu and while inside the railway carriage, they are given an opportunity to explore the history of this particular railway carriage while on its rounds back in the day. A station master clad in his uniform blows the whistle to gesture a welcome for all guests and this concept has been initiated to showcase the relationship with railways and tea back in the time of the colonial era. While at this special venue, we decided to try some of their cuisine. 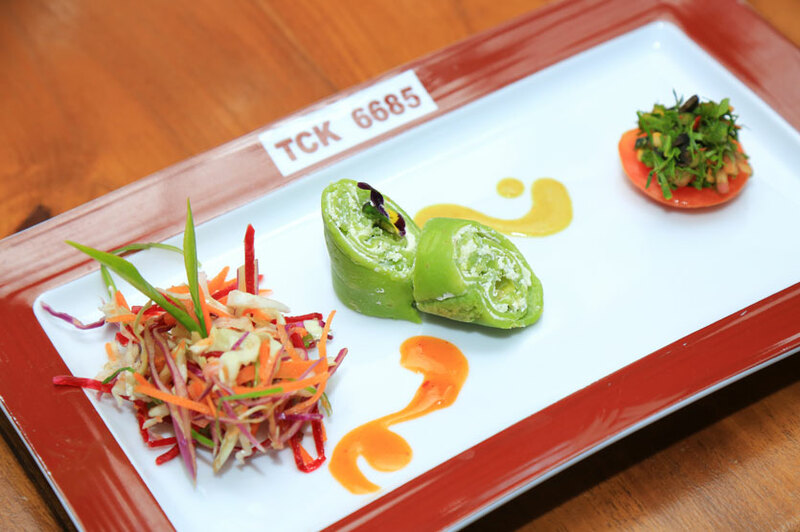 For starters we had their Spinach and Cheese Roulade served with mushroom sauce, tea leaves and centella salad along with a Carrot and Orange Soup. 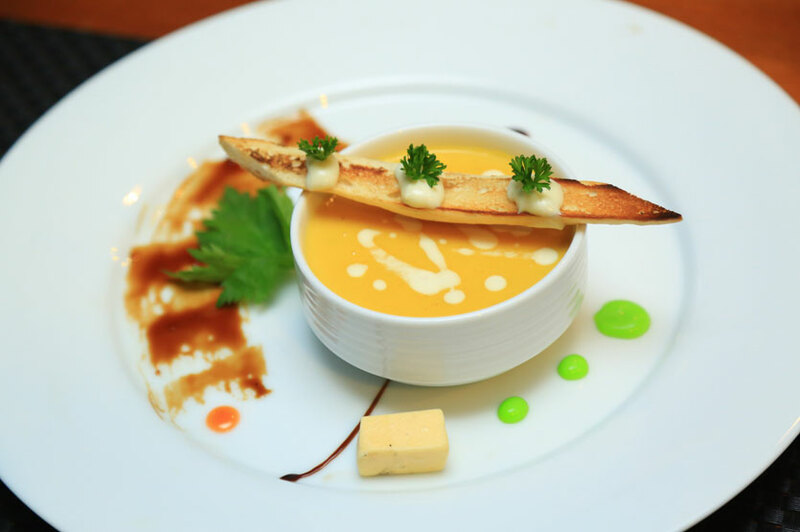 One special feature about their cuisine is that they are tea-infused and made with a local touch as means of going by the theme of the factory. Grilled Prawns with tomato were served for mains and we had a Gouda Cheese Platter with port wine for dessert. The food was enticing but it could have been upgraded with some additional spices to suit the taste of locals. 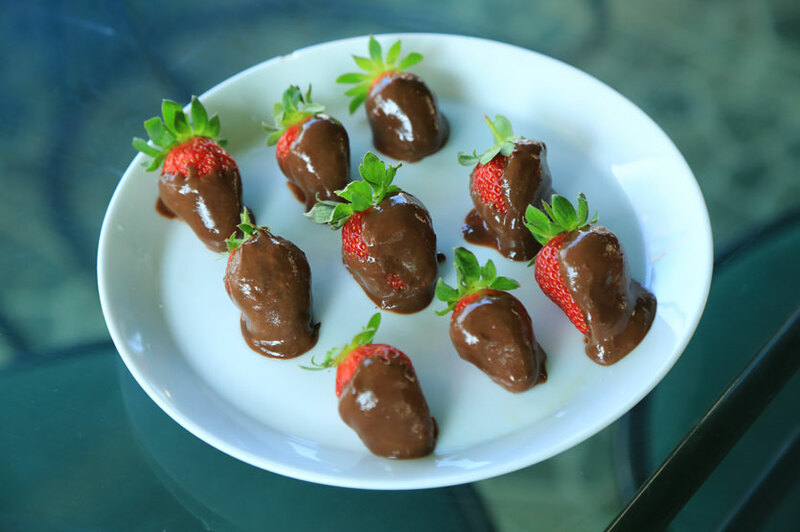 Strawberries are a popular fruit in Nuwara Eliya and you wouldn’t want to miss eating some. 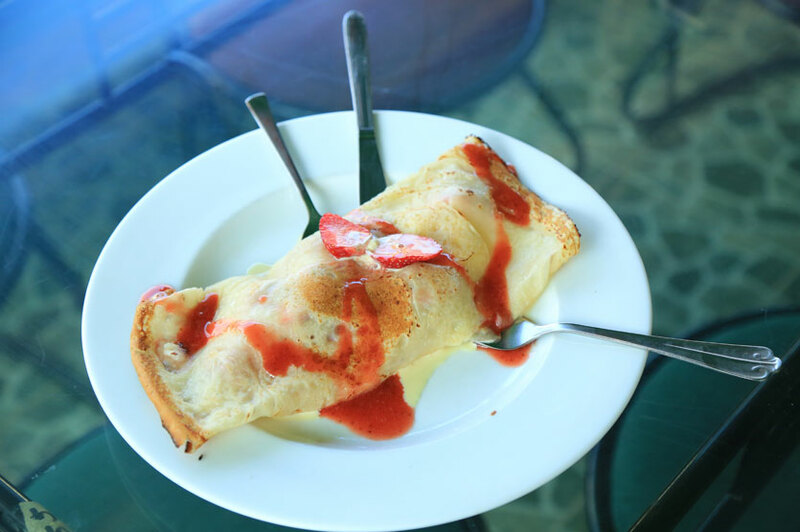 At Adma Agro Strawberry Farm Shop located overlooking the Gregory Lake, you can enjoy some of their strawberry-infused delicacies. Being the brainchild of Adman Samaranayake, this venture was initiated back in the year 2000 with his own strawberry farm which has progressed in to one of the leading strawberry businesses in town. 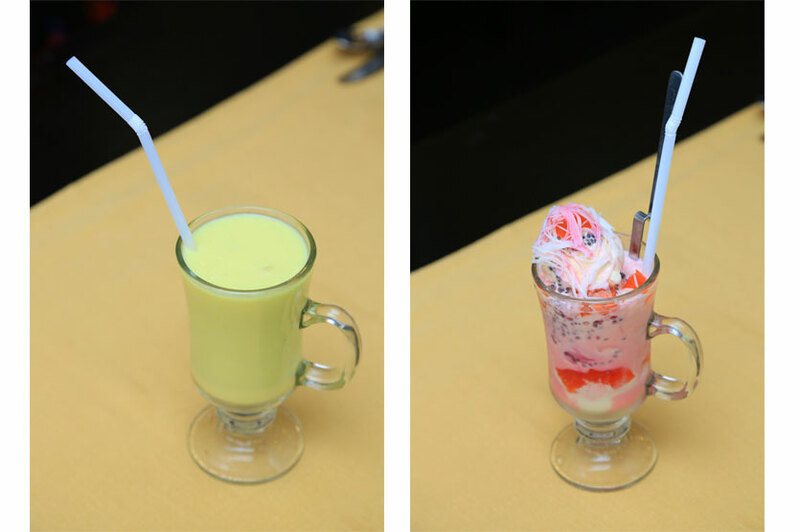 They serve various delicacies and products such as jam, syrup, juice, cordial and fresh strawberry packs too are available for sale. 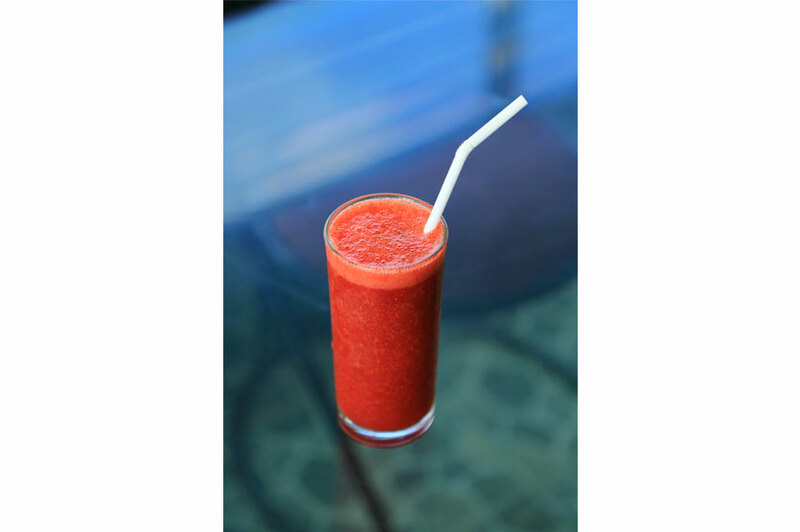 While at this venue we tried out their Fresh Strawberry Juice (Rs. 390) and it was an absolute thirst quencher. After, we tried their Fresh Strawberry Pancake with Ice Cream (Rs. 460) and Chocolate Coated Fresh Strawberries (Rs. 450) which made us want more. Adma Agro is definitely worth a visit while in Nuwara Eliya. 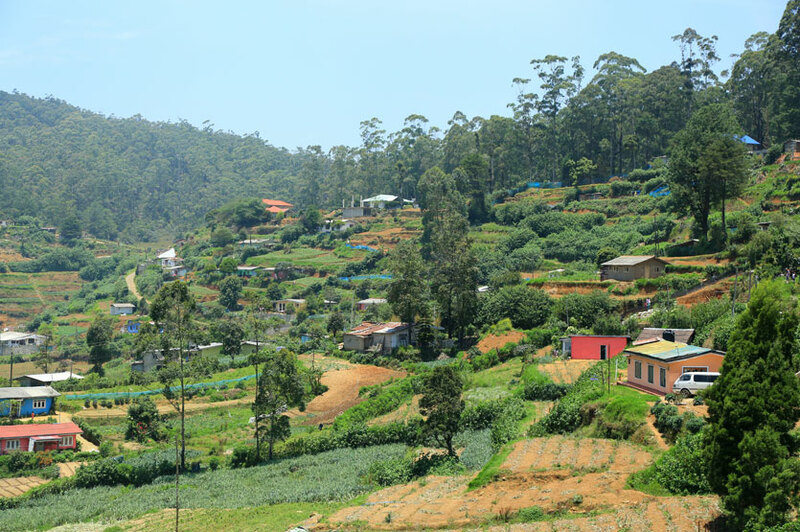 While en-route to Nuwara Eliya one will not miss this breathtaking site in the Pussellawa town. Known to be the 11th highest waterfall in Sri Lanka, Ramboda falls is created by the Puna Oya which feeds the Kotmale River. It makes a twin with Dunsinane Falls which is created by Pundalu Oya - a tributary of Kothmale River and combines at the base to form a Y shape. 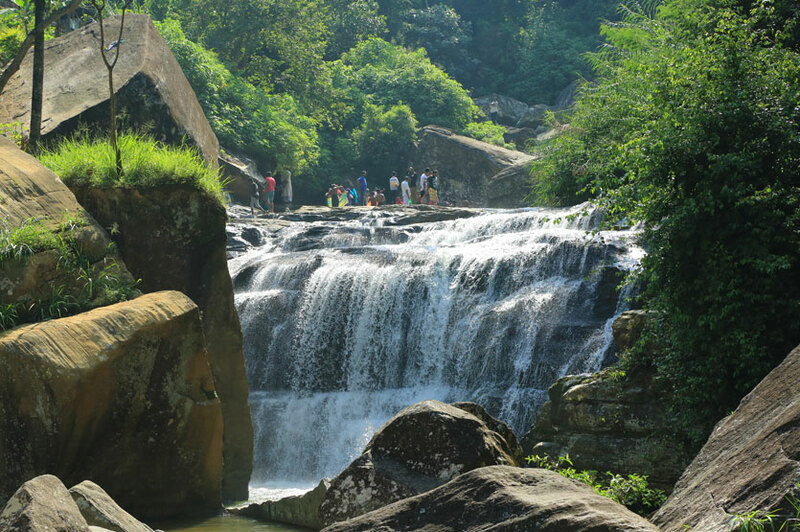 Ramboda Falls consist of three sections and the middle section is seen along A5 highway just above the bridge. Acknowledged as the highest village in Sri Lanka, Shanthipura is a small village based at the foot of the Kikiliyamana mountain range. Founded by T. William Fernando, a Mayor at the time has setup 18 villages such as this around tea estates with an objective of resettling the Sinhalese community. Currently there are 600 families dwelling at Shanthipura and facilities such as transportation, water and electricity are available. 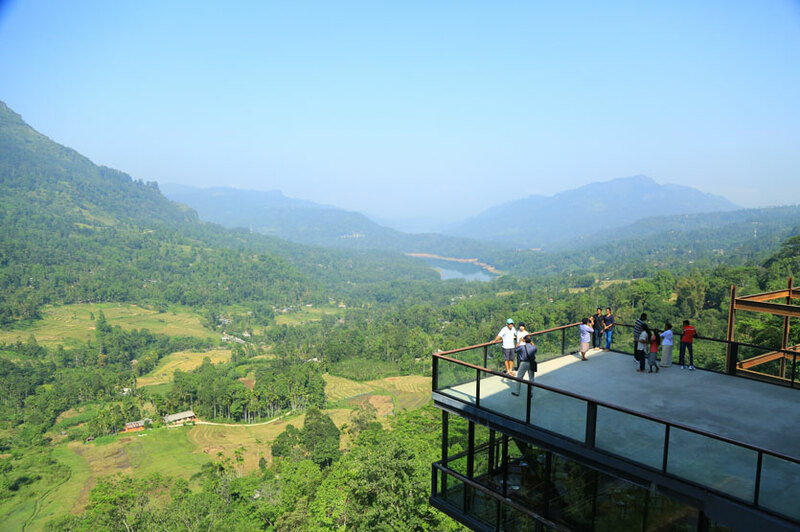 At the observation deck based in this village, one could catch a glimpse of the Nuwara Eliya town. Founded back in 1861, the Hakgala Botanical Gardens was initially established for the experimentation and promotion of the Cinchona cultivation in Sri Lanka. Later in 1884, it was converted in to a garden with various tropical and subtropical plants. Situated at an elevation of 1745 metres above sea level, the Hakgala Botanical Gardens is the second largest botanical garden in Sri Lanka. The gardens take the shape of several terraces upon the lower slopes of the rock and face the Uva Valley, across which some magnificent views of the Madulsima and the Namunukula mountain range are seen in the distant landscape. The Sita Amman Temple is erected in a place which is believed to be where Sita was held in captivity by the Demon-king Ravana. 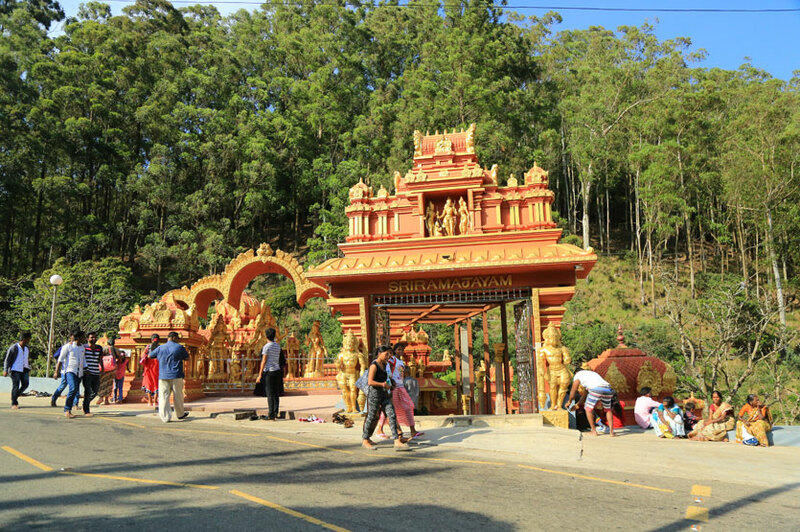 The temple was recently constructed by the Sita Amman Temple Trust and it is visited by travelers and devotees daily. The temple also has a spot believed to be where Sita bathed, the stone she sat on and where she prayed. The Royal Turf Club is one of the main attractions in the Nuwara Eliya which was revamped in an attempt to bring back the former glory of the sport. During the April season, the horse racing festival is a popular event at the Turf Club premises. Fashion, excitement and entertainment galore at this classy event and it witnesses the participation of many racing fans from around the country. 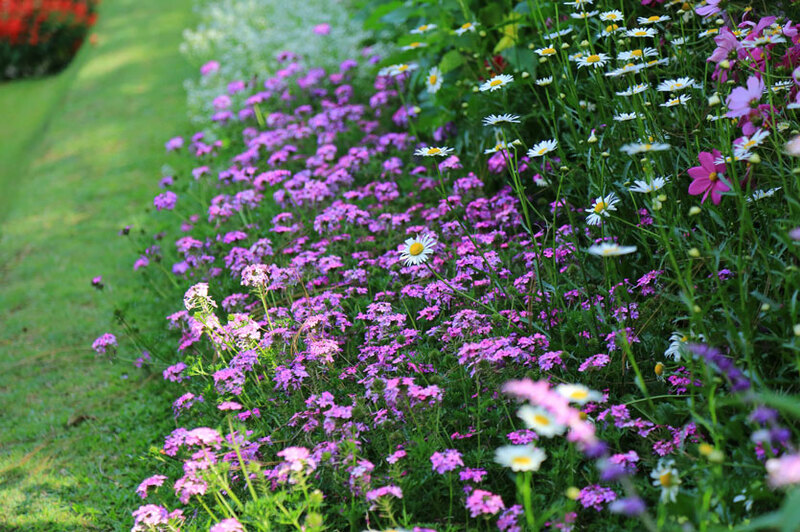 A 10km drive towards Ambewela will bring you to the lush pastures of the Ambewela farm. With healthy cows grazing on either side, the Ambewela farm resembles a picturesque setting similar to that of New Zealand. It’s cool climate makes it an ideal location for dairy farming and in addition to cattle the Ambewela farm also includes rabbits, goats and pigs.